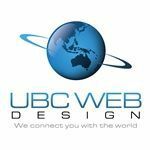 UBC Web Design is an Australian web design company, based in Central Victoria and specialises in helping small to medium enterprises (SME's) 'Connect with the World' with cost effective, content managed websites. Contact UBC Web Design now and let us help you create your new website. Remember, it's not hard and it's not expensive to have a website for your business.